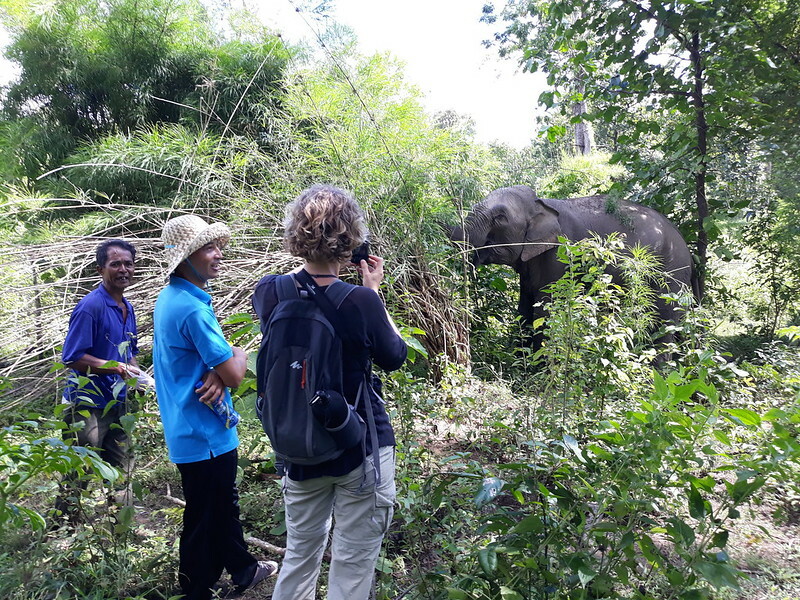 Ethical elephant tours in Vietnam’s Yok Don National Park began earlier this month as part of an Animals Asia initiative that could change the face of elephant tours in the country. 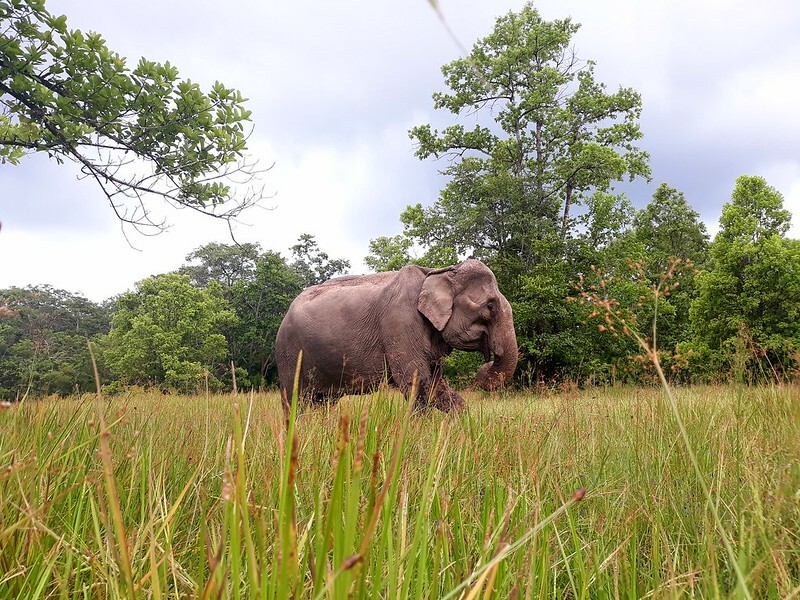 The national park has ended all tourist rides, and instead began new tourism experiences where visitors observe the park’s four elephants freely roaming the natural forest. Before the project began, Yok Don’s elephants were chained to trees with heavy riding baskets on their backs, waiting for tourists. They worked for nine hours a day, and while chained had no access to water, were unable to touch each other or express natural behaviour such as roaming, dusting, mudding, scratching parasites from their skin or foraging as they would in the wild. A tourist ride could last from 10 minutes to an entire day in the forest. 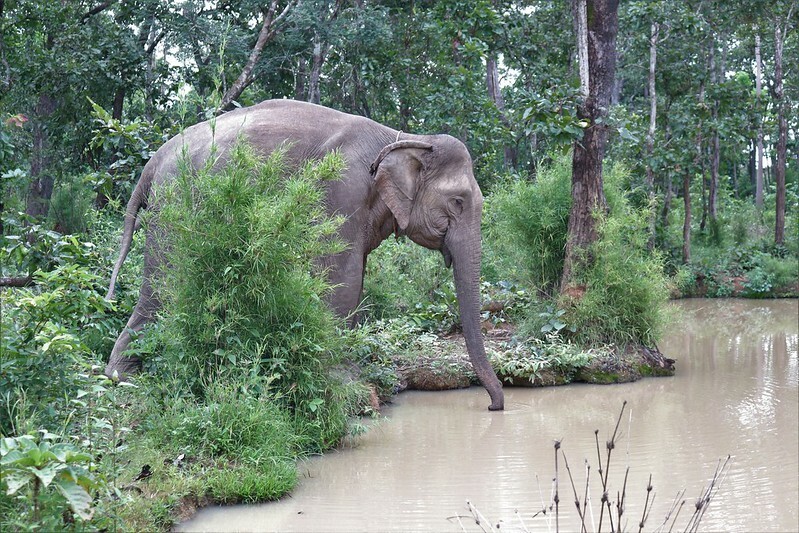 Now, the elephants are free to roam the forest throughout the day. When thirsty they walk to the river to drink, if they are dirty they clean their skin in mud baths or against trees, and when they are hungry they forage for their favourite food. 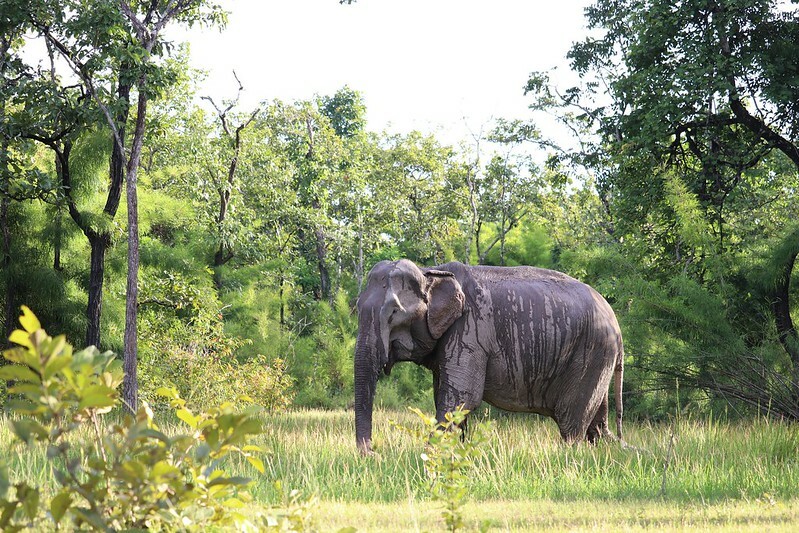 A fourth elephant at the park, H’Non was previously used for rides elsewhere in Dak Lak province. Animals Asia supporter her retirement from riding so she could live in Yok Don with fellow retirees Thong Ngan, Bun Kham and Y’Khun. H’Non is in her 60s and has grown fond of the group bull Thong Ngan who is in his mid-twenties. The pair tend to spend their days in the same area of forest communicating through rumbling sounds. 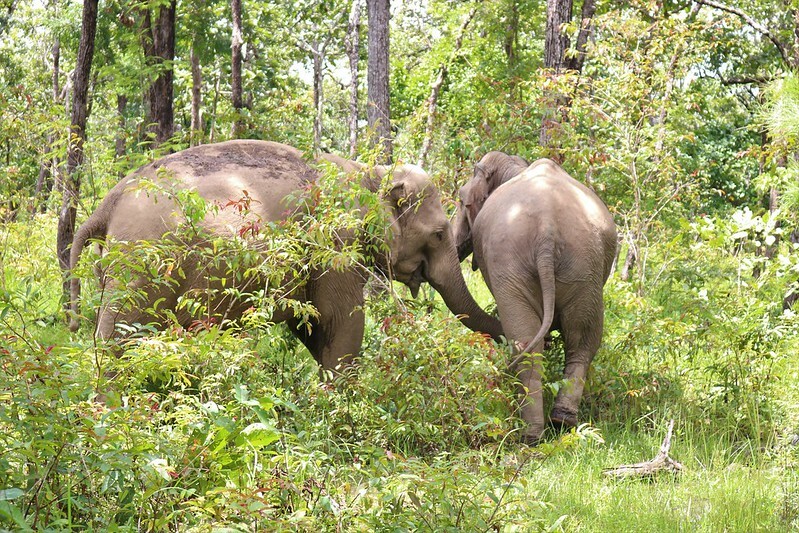 The other two females Bun Kham and Y’Khun love spending time together touching each other’s trunks and faces - something they were unable to do while chained - and have developed a very close bond. While the elephants roam the forest, their mahouts follow to ensure they are safe and to avoid any potential conflict. In the first two weeks, 11 tourists have joined the tours, including visitors from South Africa, the UK and Australia. While the tours will evolve over time, early feedback from visitors has been hugely positive. The project has been made possible by the UK’s Olsen Animal Trust, whose funding will ensure the present legal owners of the elephants will not lose their livelihoods. It is hoped the new model will provide as much or even more profit for the owners than elephant rides and become an example for other mahouts and facilities to follow. The official agreement between Animals Asia and the state-run national park was signed on July 13, 2018 and runs until April 2023, providing ample opportunity for the new model to become profitable. Elephants used in the tourism industry for riding typically endure conditions which greatly harm their welfare. They undergo a process known as “the crush” during which they are confined and beaten with bullhooks. Representatives from Yok Don National Park told Animals Asia they hoped the new tourism model would change the perspective of tourists towards elephant rides while also enabling rangers to fulfill their duty of protecting the forest and all its inhabitants. In 2015, the elephant tourism industry made headlines in Vietnam when a number of animals died of exhaustion due to overwork. Dak Lak province, home to Yok Don National Park, is famed for its elephant tourism and is believed to contain around 40 captive elephants. Vietnam’s wild population of Asian elephants is thought to have fallen to below 100, a figure conservationists say is not viable to ensure their survival, while fewer than 80 live in captivity across the country, mostly providing rides for tourists. In recent years, Vietnam has taken emergency steps to conserve the country’s remaining wild populations by establishing the Elephant Conservation Centre, where Animals Asia provides animal management and welfare advice.